Ready to assert your space as one of style, simplicity and chic calm? 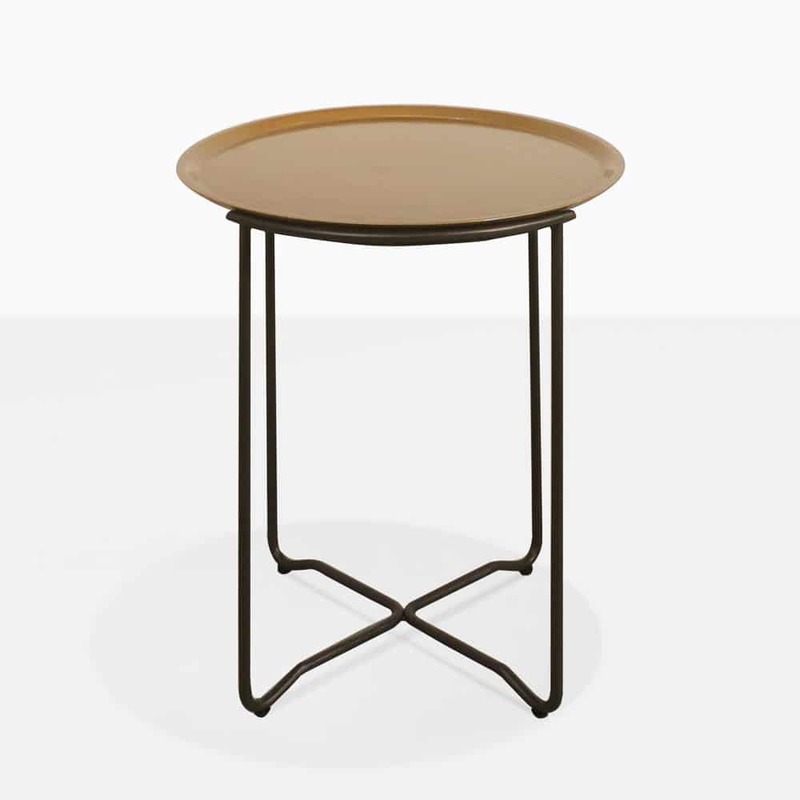 Enjoy the divine design of our Metell Outdoor Accent Table, a stunning and confident side table from Design Warehouse. 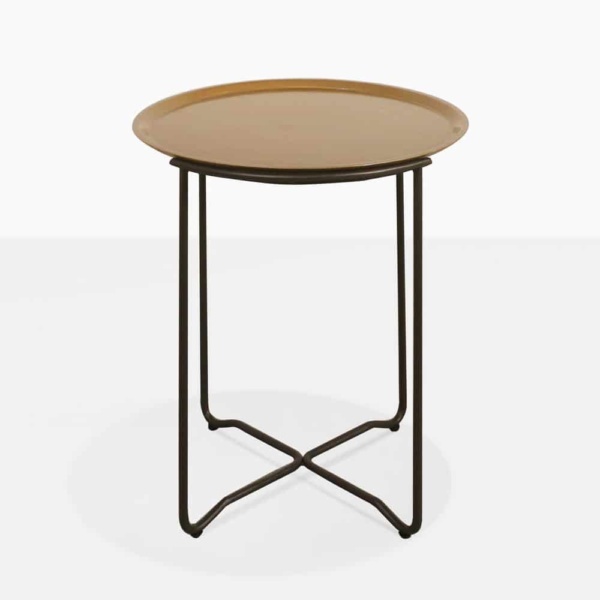 A stately yet airy Scandinavian style, the Metell Outdoor Accent Table is one of simple beauty. 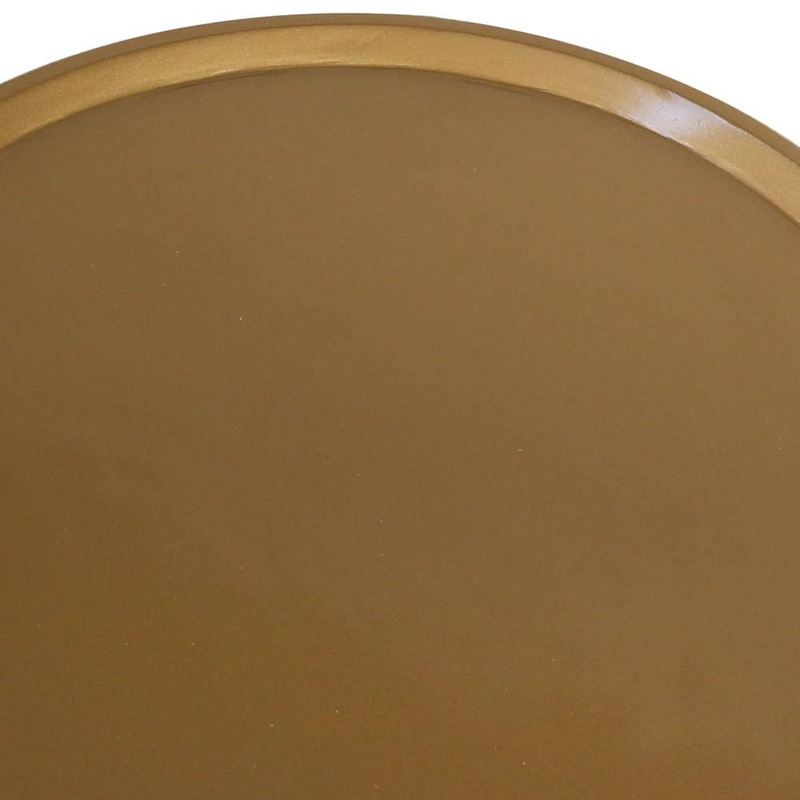 With a gorgeous gold coloured top, and lightweight powder coated aluminum frame, the Metell Side Table suits many styles of spaces, contributing to a finished look that will impress your guests, and offer you a confident setting you can relax in! Situate your Metell Accent Table with a soft, cushioned club chair for a delightful combination to keep you in overall ease and tranquility as you relax after a long day’s work. In a commercial space, we can’t think of a better addition than the Metell Outdoor Accent Table! Line these stunning pieces up next to sun loungers for a superb poolside situation, or place along sectional deep seating to illuminate the space you’ve made… one of style, relaxation and comfort. Don’t discount this outdoor table for indoor use! The Metell Table is stylish enough to hold its own in an interior setting – lush against a leather sofa, or soft, low daybed. 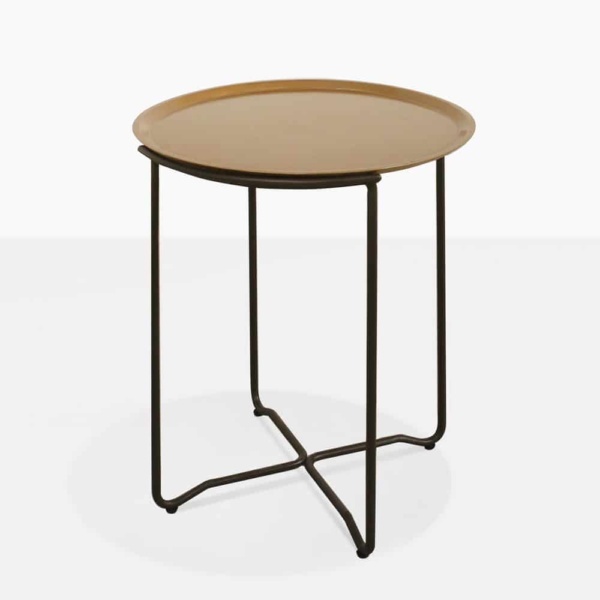 Whatever you choose, this elegant modern side table is a welcome addition to any setting! Constructed from top quality materials, of steel and gold plated aluminum the Metell Outdoor Side Table will offer you an incredible look, as well as ease of maintenance! What more can you ask for? The Metell Table is a superb accessory that will stand the test of time. Design Warehouse is well established as the front runner of fashion, style, luxury and quality. Our range of outdoor furniture is 2nd to none! Be dazzled by the impeccable materials, choice of size, colour, and more! We are confident we have pieces that will bring your outdoor living area into one of new stylish heights! The Metell Accent Table looks incredible. Add this stunning piece to your outdoor space today!